Recognition in the monthly Santa Paula Chamber feature page of the Pacific Coast Business Times. This publication has a distribution of over 5,000 business leaders in Ventura, Santa Barbara and San Luis Obispo counties. 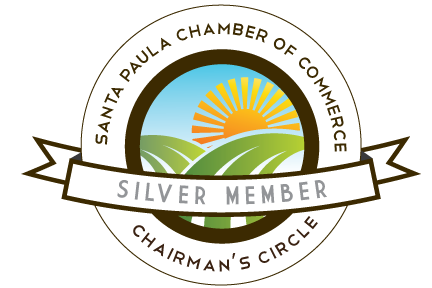 Recognition (logo) on Home Page of Chamber website www.santapaulachamber.com, with link to your website.